You may find these links to related component identification pages interesting. 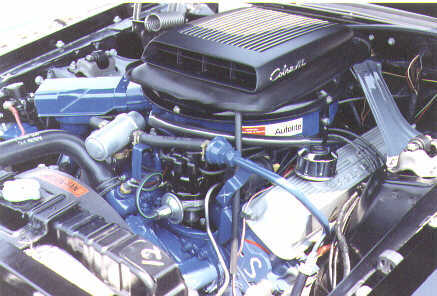 They may or may not describe parts unique to the 428 CJ, but there's usually something there that was used on or is related to cars equipped with a 428 CJ or SCJ. Please note that the content on these pages is not controlled by the Mustang 428 Cobra Jet Registry. Please contact the web site owners if you have questions about the content on their web pages. This list and the pages behind it are a "work in progress". I am particularly interested in documenting the differences in components as they changed from 1968 through 1970 and the differences between Cobra Jet and Super Cobra Jet components. I could really use some help from owners of 1968 and SCJ Mustangs since I don't have many such parts on hand!